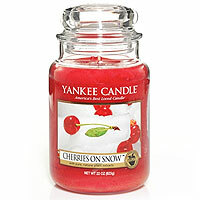 "An enchanted, sparkling blend of bright, juicy cherries with sweet alonds and an icy freshness." 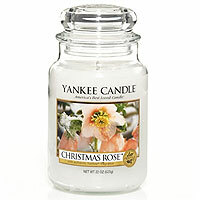 "Holiday memories bloom in the authentic perfume of delicate rose petals with a hint of pine." "'Tis the season to spread Christmas cheep. 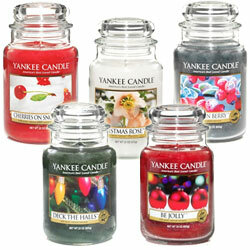 Holiday spices are arranged in perfect harmony with notes of hollyberry and pine." 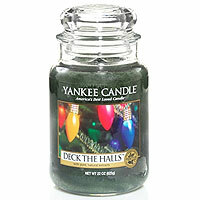 "You'll fall-la-la in love with this delightful holiday scent! 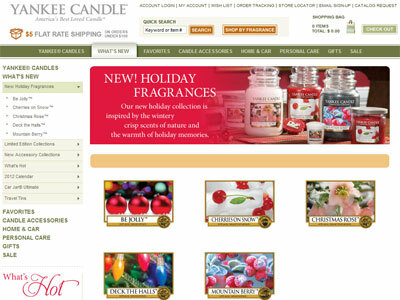 It's a merry symphony of cedar, bergamot, fir needles and musk." 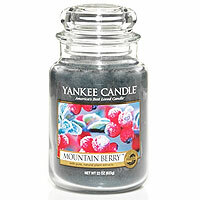 "Inspired by nature...the wintry crisp scent of frosty woods, red berries, currant and rosemary."